European Sovereigns in the White Drawing Rooms, Windsor Castle. 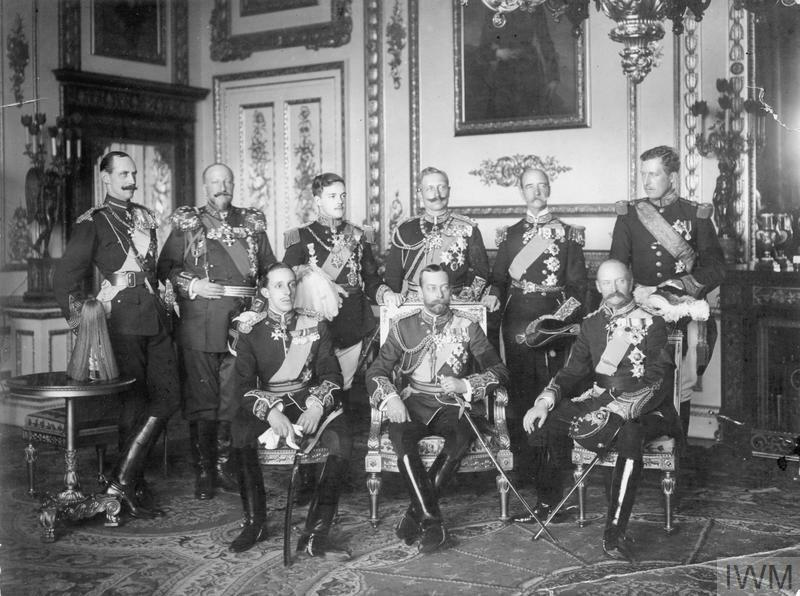 Standing, left to right: King Haakon VII of Norway; King Ferdinand I of Bulgaria; King Manoel II of Portugal; Kaiser Wilhelm II of Germany; King George I of Greece; King Albert I of Belgium. 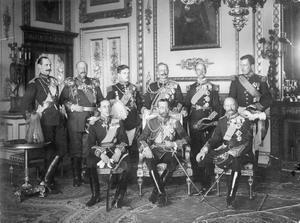 Seated: King Alfonso XIII of Spain; King George V of England; King Frederick VIII of Denmark. 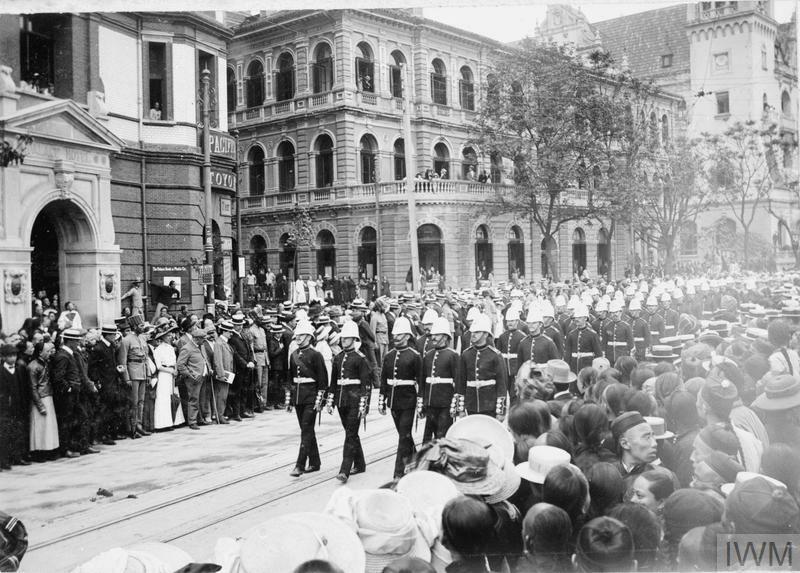 Funeral of HRH King Edward VII, 1910.